Welcome to Critic's Notebook, a quick and off-the-cuff car review consisting of impressions, jottings, and marginalia regarding whatever The Drive writers happen to be driving. Today's edition: the 2018 Fiat 500L Trekking. 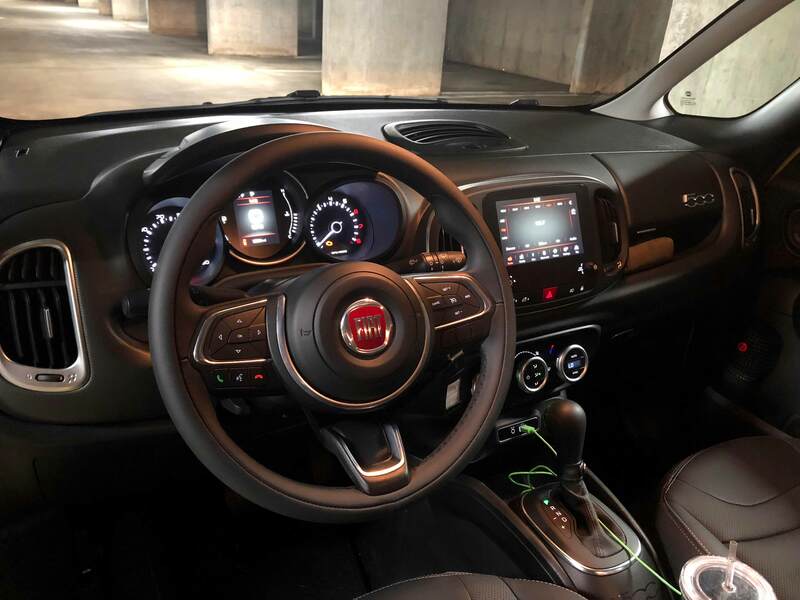 Quick Take: The Fiat 500L is the lethargic, larger brother to the 500, but the incredible visibility and BeatsAudio sound system bring you a quirky and fun—albeit slow—driving experience. See all Fiat 500L pricing information and specs here. It seems safe to assume the answer is the Mini Countryman and Clubman. Those cars helped pioneer the trend of building bigger models of the smallest cars on the road, so families can justify buying into the brand. However, although the 500L bears the Fiat badge, doesn't quite offer the same Fiat experience as the much more well-known 500. This isn't the Fiat parked outside the neighborhood Italian restaurant to help it boast about its "authenticity," or the Fiat that has the parkability inherent to a city car, and can weave through traffic with the agility and ease of a motorcycle. The 167 inches of length alone is enough to effectively mean this Fiat no longer has what it takes to make it a Fiat 500. Let's begin with my favorite part of this car: the stereo. It's great, considering the price of the 500L. My definition of "good" is measured by how thumpin' the bass is, and the six-speaker BeatsAudio sound system delivers, with a rich quality that makes my Hip Hop Nation SiriusXM moments all the more pleasurable. It isn't by any means luxury-automaker-audio-system-level, but for a Fiat, the sound quality is surprisingly rich. The amount of headroom in the Fiat 500L is astonishing. Even before stepping inside, it's clear the room is substantial based on the tall, minibus-like appearance, but even my taller cousins standing six-foot-six were just barely skimming the ceiling with their heads. The 121 cubic feet of interior space is not only noticeable, but enjoyable—especially on longer rides. The tall roof helps deliver wide sight lines and clear visibility out of the 500L. The extra bit of window in the front of the A-pillar contributes a good deal, as well as the bubble-like glass as the windshield. That said, at times, the expansive and outstretching window made judging where the front of the car ended a little difficult. The font used on the gauges and the screens in the 500L is fun. It has a Comic Sans-like quality, which normally I would hate...but it was so pleasant to look at. The 1.4-liter MultiAir turbo engine is not only lackluster power-wise, but is loud at almost any speed. It is the perfect-sized engine for the smaller 500, but when put in the bloated 500L, it struggles to get the car moving. Only once it revs past 3500 rpm does it offer anything close to a good amount of go. Besides the (legally-required) backup camera, there was no advanced driver safety technology on this 500L Trekking. Because of the size of this car, I would've appreciated blind spot warning sensors. 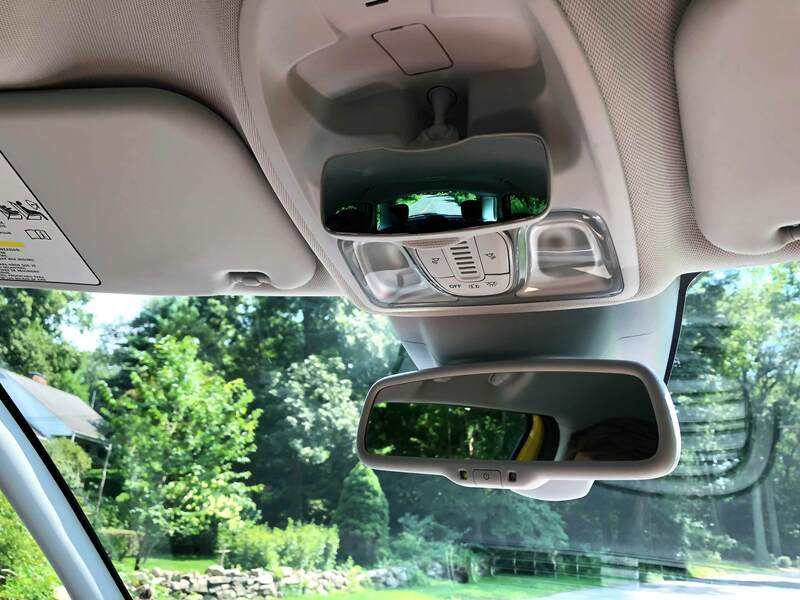 Instead, though, it has spotter mirrors with a convex section to provide a better view of your blind spot, in theory. In practice, they warped my vision of what was beside or behind too much to be of use. Typically, when I want to add storage in my house, I add something above or below an item already in the space—storage bins under the bed, for instance. The 500L has gone with a similar concept for storage, packing an adjustable trunk shelf that sits atop the subwoofer. The idea is great in theory; however, when I left it in its low position, items in the trunk ended up below the shelf, slipping past the front end of the shelf where it sits against the seats. Good idea, poor execution. Although the sound system is fantastic, the infotainment system is a little slow for a brand-new car. There's noticeable lag between selection and action; FCA's UConnect system works fine, but everything takes longer than it should. On top of that, when Apple CarPlay opens up, the small screen becomes even smaller, with awkward black letterboxing on both sides. If you buy this car, please get a sunroof. My test model didn't have one, and the sad expanse of roof liner was depressing, considering how big the 500L is. The extra light would've been appreciated. Besides the engine, there is nothing glaringly wrong with the 500L to the point that I couldn't live with it. Even for customers that don't necessarily care about going fast, this engine isn't big enough, always sounding like it's struggling. And the 22 city/30 highway mpg rating that comes with the small engine isn't astonishing enough for buyers in today's market. Still, it's a lot of room for $25,000, once you get past going slow. Is the 500L worth your money? The follow-up to that question is, are you a Fiat super-fan? 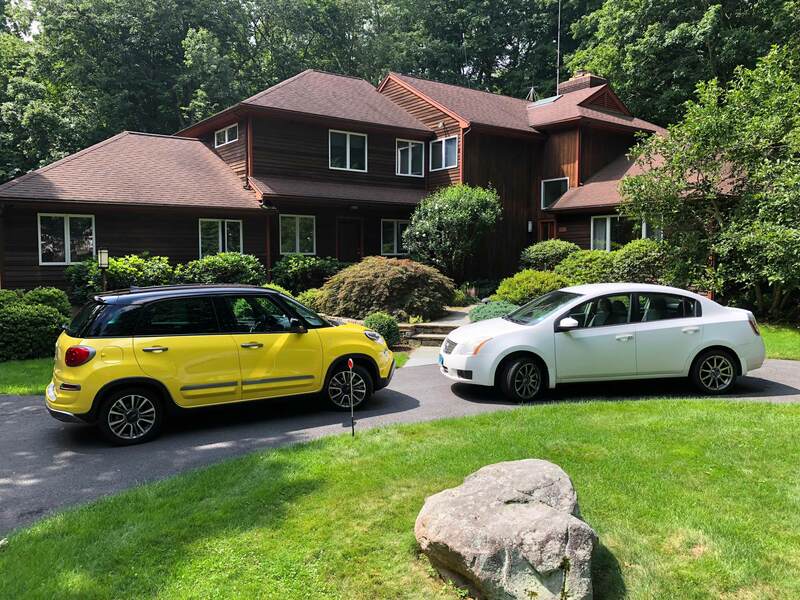 Huge size aside, at a starting price of $23,000, it is a little hard to justify buying the 500L over the Mini Countryman or Kia Soul, in part because of the lack of advanced safety features. The regular 500 fits into its own niche as a perfect city car, so the cons of missing advanced technology can be overlooked. The 500L doesn't fit into such a category—so it isn't as desirable. Going L adds the space, absolutely, but the resulting car just feels too big and slow to be a Fiat. I don't hate the 500L. Understandably, Fiat saw the need for larger models for people who need more space, to fit expensive things like children (fun fact: there's a mirror that folds down for you to watch the back seat in place of a sunglasses-holder). Is it perfect? No. But at the end of the day, the 500L has plenty of what it would take to become a great car, with its spaciousness and unique personality. A bigger engine and a bit of interior reorganizing would go a long way with this Italian lady.